What Does a Patient Advocate Actually Do? Part II See You at the Pittsburgh Business Times Healthiest Employers Wellness Expo! 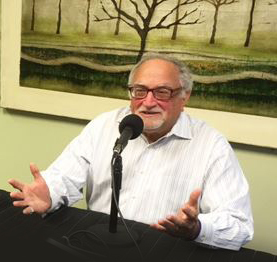 Jeff Weinberg, owner of Caregiver Champion, was recently a guest on eCare Diary’s “Empowering Family Caregivers” Blog Talk Radio Show. Jeff is a certified healthcare and patient advocate with over 25 years of experience in the healthcare field. Jeff has recently implemented a caregiver support program with Emerson Power Solutions, and discussed how corporations can help their full-time employees who are also caregivers. He also had the opportunity to discuss the plight of the working caregiver in general. The “Empowering Family Caregivers” show is a free online radio program hosted by Susan Baida and Meghana Giridhar of eCareDiary.com. The mission of the show is to educate and inform family caregivers on the diverse aspects of eldercare and caregiving. The show features experts on aging, long term care, caregiving, dementia and other illnesses associated with aging in America. The show aired live on BlogTalkRadio.com, which is the world’s largest social radio network.